This article provides information on fallopian tube blockage treatment and what causes it. You should know that infertility in women can be as a result of many factors and this often makes it very difficult to link cases of infertility with a particular cause. But most times, when a woman has been having a long difficulty in becoming pregnant, it might likely be caused by a blocked fallopian tube. The fallopian tube is a narrow pathway that extends from both the left and right side of the utero-tubal junction, to form a connection between the uterus and the ovaries. During ovulation, that is when eggs (ova) are released from the ovaries, the egg then passes into the open end of the tube from where it travels further inside with the aid of small hair-like structures called cilia that line that walls of the tube. The sweeping movement of the cilia pushes in the egg until it meets with an approaching sperm cell, their union cause’s fertilization to occur. The fertilized egg moves further through the fallopian tube to be implemented in the wall of the uterus, where the baby develops. Obviously, any blockage in the fallopian tube will obstruct this natural process of fertilization and pregnancy. Depending on the site of the blockage, a blocked fallopian tube can be of three main types and these are: proximal, midsegment and distal. Proximal blockages occur closer to the uterus, while midsegment blockages are obstructions in the length of the fallopian tube and the distal blockages are those that create obstructions near the infandibulum that is the opening of the tube that is close to the ovary. Fibroids: The development of fibroids can block up the fallopian tube and this mostly occurs at the utero-tubal junction. Surgeries: Any surgical operation carried out in the lower abdomen has the risks of introducing infections or creating scars that can lead to fallopian tube blockage. Ectopic pregnancy: Having an ectopic pregnancy, where the baby lies in an abnormal position with the head up and the legs pointing towards the vaginal canal can be a medical emergency that causes a blocked fallopian tube. Surgery: There are several surgical methods that can be used in clearing up a blocked fallopian tube, they include salpingectomy, salpingostomy, fimbrioplasty and selective tubal cannulation, they offer different rates of successes in removing the blockages and restoring fertility. But surgical operations have the risk of creating scars in the tube which can form regrowth that later blocks the tube again. Abdominal massage: Another method that has been used for fallopian tube blockage treatment is the abdominal massage also referred to as fertility massage. Here experts use targeted pressure in massaging parts of the lower abdomen where fibroids have been seen through scans, this method has shown some effectiveness in reducing and eliminating these growths and clearing up the fallopian tubes. Herbs: The use of herbs for fallopian tube blockage treatment is the recommended method for clearing blocked fallopian tubes as it is effective in detoxifying the tubes, dissolving fibroids and taking care of infections that might be the root cause of the blockage. 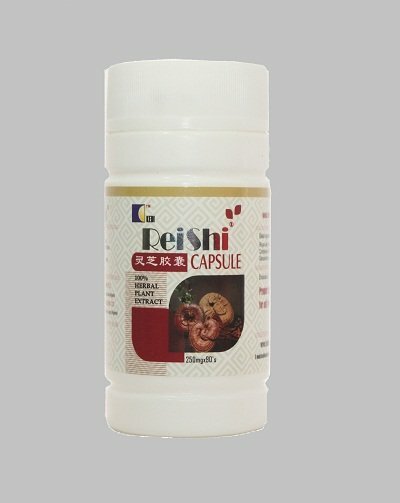 You can order for Reishi product and Gynapharm to treat blocked falopian tubes. We sell member price to encourage patronage and membership after you have result that our herbal medicines works. 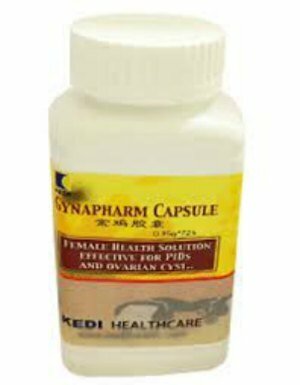 The price for Reishi is N9,820 and Gynapharm is N11,430 excluding cost of delivery. We offer prompt delivery of the product using courier services for between N500 and N2,500 nationwide. P.S. Product(s) will be deliver same day in Lagos and within 4 working days in other states.